The TD 550 is based on the construction of the TD 350 and like it comes equipped with a suspended chassis and the belt drive around the outer rim of the platter. The player‘s generous dimensions allow the mounting of 12-inch tonearms also. The tonearm platform is made from extremely stiff carbon fiber compound which ensures a very rigid coupling of platter and tonearm. If necessary, the suspended chassis can be conveniently adjusted in height by thumb screws on top of the plinth. The sturdy feet can likewise be adjusted in order to achieve a level position. The front panel of the TD 550, which also holds the operational buttons, is available either chrome-plated or with black anodized aluminum finish. 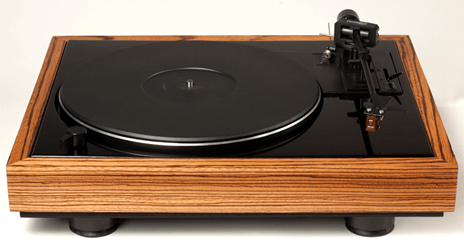 The high-grade plinth itself has been refined with finest black piano lacquer whereby the variable side cheeks can be perfectly matched with those of the Thorens Electronic Series. The TD 309 sets new standards in analogue replay. 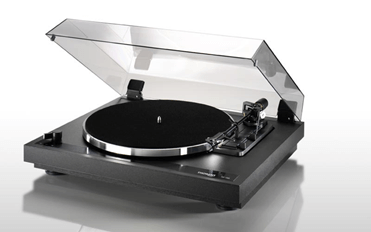 The turntable's innovative three-point-suspension ensures perfect balance in both mechanical and aesthetic terms. Form and function work in harmony to make the TD 309 a turntable that is guaranteed to reveal the magic of analogue replay. 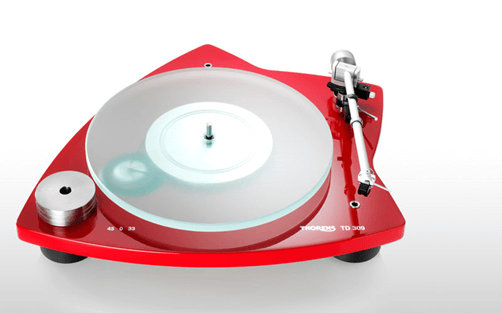 The TP 92 tonearm, which was specially designed for Thorens turntables, uses an ultra-low-friction bearing and an innovative magnetic anti-bias system with zero friction. The arm tube is made from rolled aluminium that is damped using RMR (Reduced Modal Resonance) technology. The brass counterweight at the end of the arm tube is double-decoupled, and the tonearm is so designed that its centre of gravity is level with the stylus. 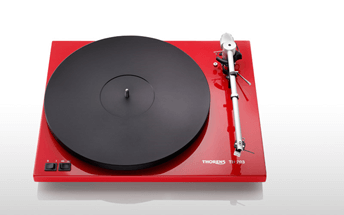 Born in 1968, the Thorens TD-125 directly followed what most enthusiasts would rightly nominate as the Swiss/German firm’s single greatest achievement: the TD 124, rather than the similar TD 150 of 1965. Appropriately, a perfectly-restored, serviced and installed TD 124 will, as of 2013, still give most record spinners a run for their money. However, only the most deluded apologist would argue that this idler-drive/belt-drive hybrid is either as quiet as, or as dynamic as the pure belt-drives that followed the TD 124 – let alone the “budget model” TD 150 that sold alongside it. And that includes the TD 125. The TD 121 was the "economy " single speed of the TD 124. It uses the lighter bearing of the TD 135. It has a single piece non-magnetic platter, no strobe, no spirit level, no decoupling of an upper platter plate. But it shares the same chassis and drive system. Introduced in 1962. 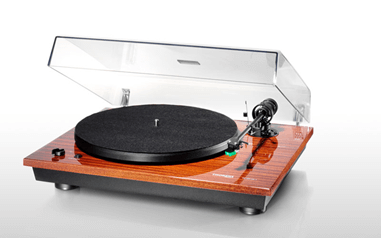 The TD 158 is a complete and comfortable record player. Plug-and-play, so to speak. It goes without saying that it features a fully automatic mode of operation, an electronic speed selector and last but not least, a high-quality acrylic cover to keep dust away. The tonearm and cartridge have been pre-mounted and painstakingly adjusted in the factory. 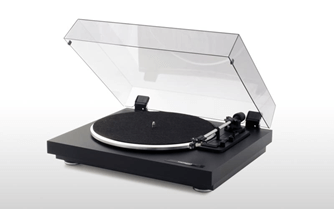 All necessary leads are supplied with the unit and the record player is ready to play with a flick of the wrist. The entry into the wonderful world of analog music is as simple as this. The TD180 was first introduced in 1991. With a belt driver system, this unit delivers a sound that will not disappoint. Auto shut-off. 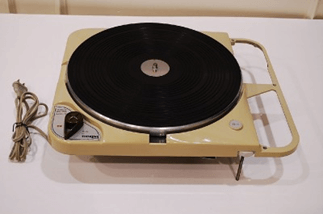 Semi-automatic with a TP20 tonearm. A manufacturer who was both familiar on the hi-fi scene during the 80s and 90s and who faded from grace when vinyl sales suffered in the 90s. 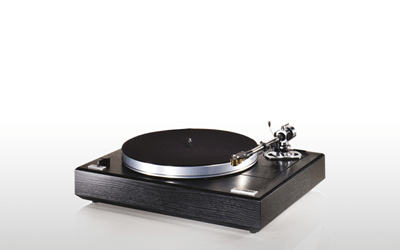 The company is back and making turntables but its classic originals, if looked after, would serve you very well indeed. 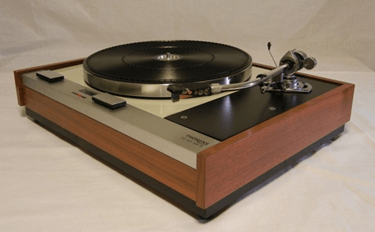 In fact, a TD180 in decent condition might be all you ever need for vinyl play. In the TD 295 MK IV, technical finesse and first-rate sound go hand in hand with elegant appearance. 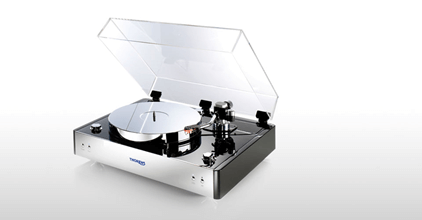 It is based on tried and tested components, which are complemented by the new TP 41 tonearm. The warm wooden colors of the plinth may be freely combined with either classic or contemporary furniture styles in order to have this record player stand out in any room. Indeed an elegant classic at its best. High-quality materials, a classic design and love for details are the distinctive characteristics of this fully automatic record player. The massive and stable real wood plinth, which is available also with piano lacquer finish, provides the TD 240-2 with a timeless elegance. 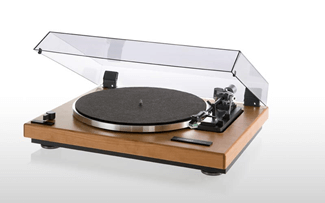 This record player has been equipped with the new TP 19-1 tonearm and an extremely silent running precision belt drive beneath the platter, so that the other technical qualities are also most evident. Set-up and connections are effortlessly carried out so that the TD 240 is ready to play within minutes.